6063-T6 aluminum sheet belongs to Al-Mg alloy sheet. So the main content is Mg. It has high strength, good processing-ability and weld-ability, as well as good resistance to correction. Besides, it can be heat treated. The processing procedures and technology of 6063-T6 aluminum sheet are pretty complicated comparing with other common alloy. So the price of 6063-T6 aluminum sheet is higher than them as well. At present, the supplier of 6063-T6 aluminum sheet is very few in China. And among them, most are trader instead of manufacture (haomei aluminium is a manufacturer). And this situation is caused by the demands for the technology. China still lags behind in technologies compared to developed countries. haomei aluminium spent great to introduce equipment and technologies from other countries to manufacture high quality aluminum products, including 6061-T6 aluminum sheet. 6063-T6 aluminum sheet has good alloy characteristics and it can be processed in different heat-treatment tempers. Thus, it is ideal material for automotive manufacturing industries (car door, mould, sealing element, etc.). haomei aluminium is a manufacturer and supplier of 6063 aluminum sheet, and haomei aluminium has strict quality control system to guarantee the properties and quality of our products live up to international system. 6063-T6 aluminum sheet has a vast application, such as the body of tank truck, mould aluminum sheet and automotive aluminum sheet. They all belong to aluminum sheet applications in transportation field. Along with the prosperous of aluminum industry, I am sure the market of 6063-T6 aluminum sheet will be better and better. Nowadays, the suppliers of aluminum sheet are here and there in China, and small or middle supplier accounts for the most parts. 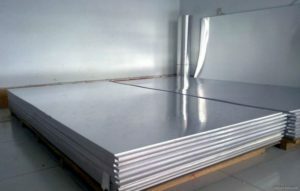 However, large manufacturer and supplier of aluminum sheet is not so much, and the most famous companies are haomei aluminium and Southwest Al. As a high quality 6063-T6 aluminum sheet supplier, haomei aluminium. has mature technologies with 19 years experience. What’s more, haomei aluminium can also manufacture other aluminum sheet, aluminum foil as well as aluminum foil to satisfy the demand of different customers and different industries. In the future, haomei aluminium will keep going in the research of new aluminum product.